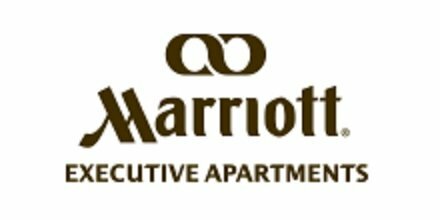 Book your stay at Sukhumvit Park, Bangkok - Marriott Apartments to find a distinctive blend of comfort, style and impeccable service. 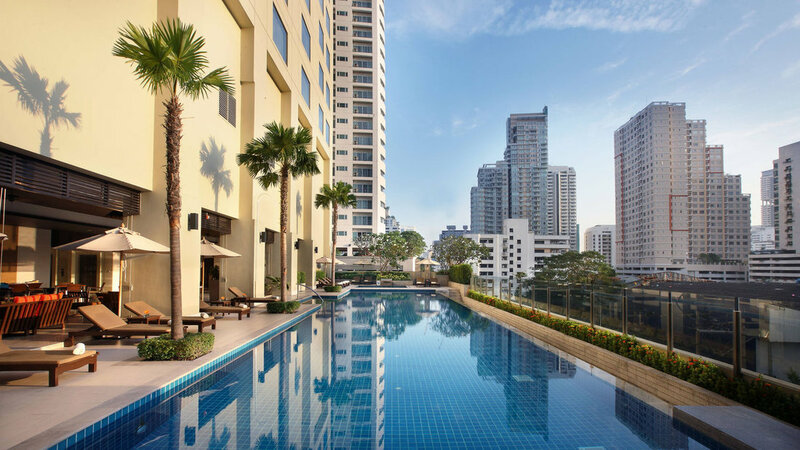 Our hotel, well located in the heart of Bangkok's vibrant Sukhumvit district, welcomes you with 5-star serviced apartments and an extensive array of luxury amenities. 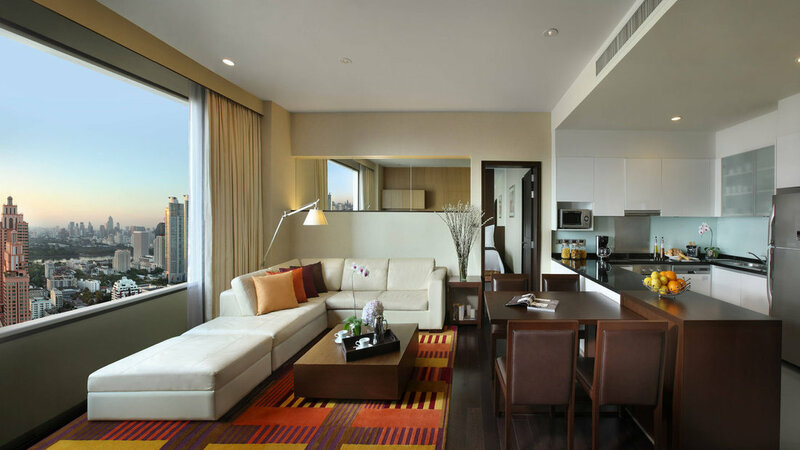 Whether you're visiting our hotel for an extended stay, a weekend trip or a family vacation, you'll feel at home in your spacious, modern apartment; every one offers separate living and sleeping areas, a fully stocked kitchen, a sleek marble bathroom, an ergonomic workspace and luxury bedding. 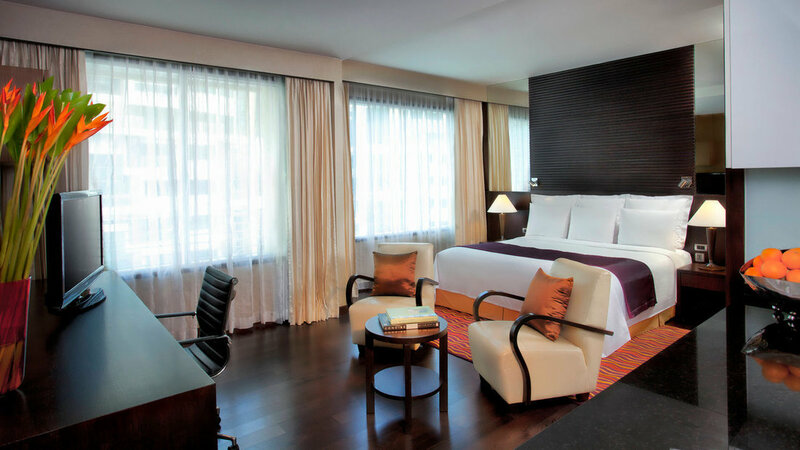 In addition, we feature a sparkling outdoor pool, a cutting-edge fitness center, a tranquil signature spa and first-rate on-site dining. 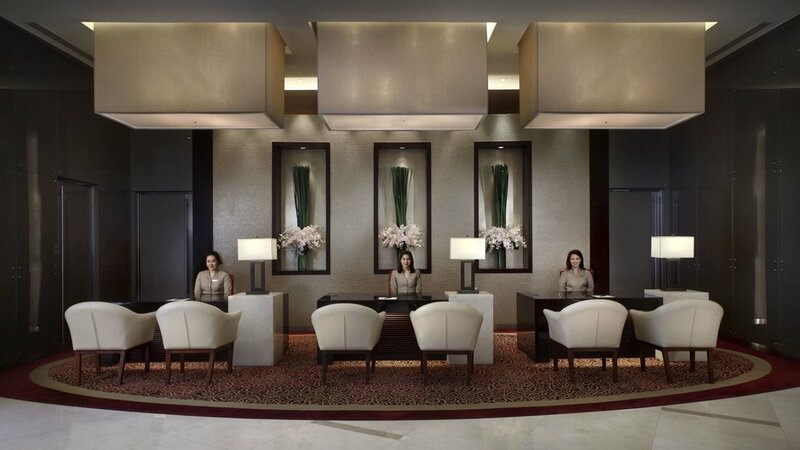 Select our hotel to host your meeting or social gathering to take advantage of over 7,500 square feet of light-filled venue space and knowledgeable planning and catering. 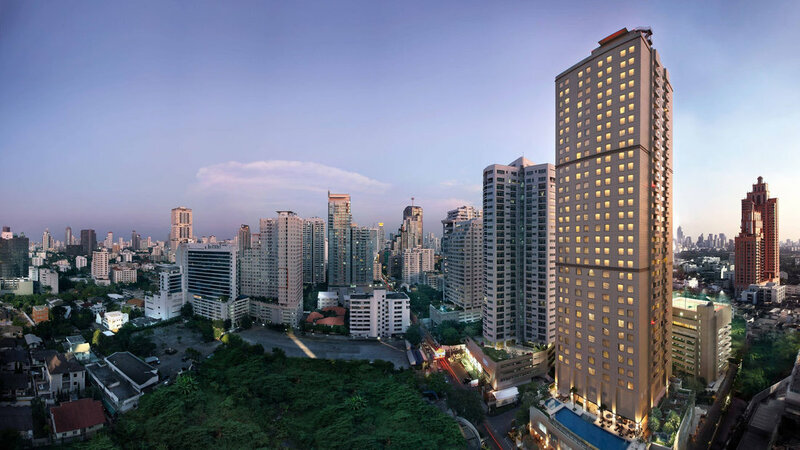 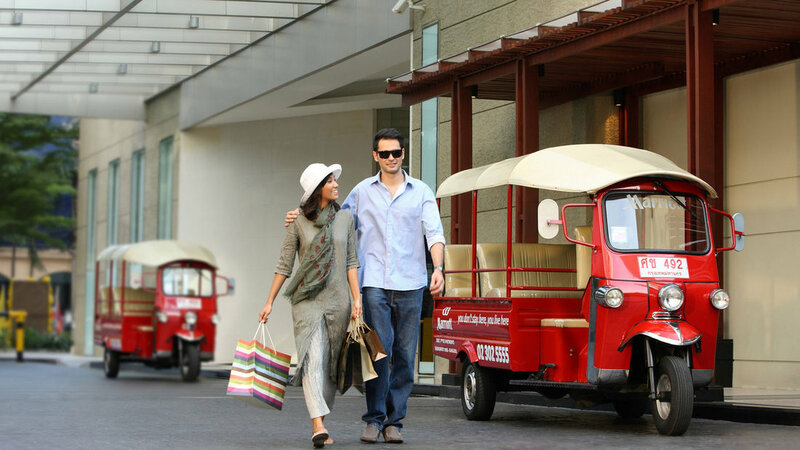 Let Sukhumvit Park, Bangkok - Marriott Apartments provide you with everything you need for a 5-star experience.